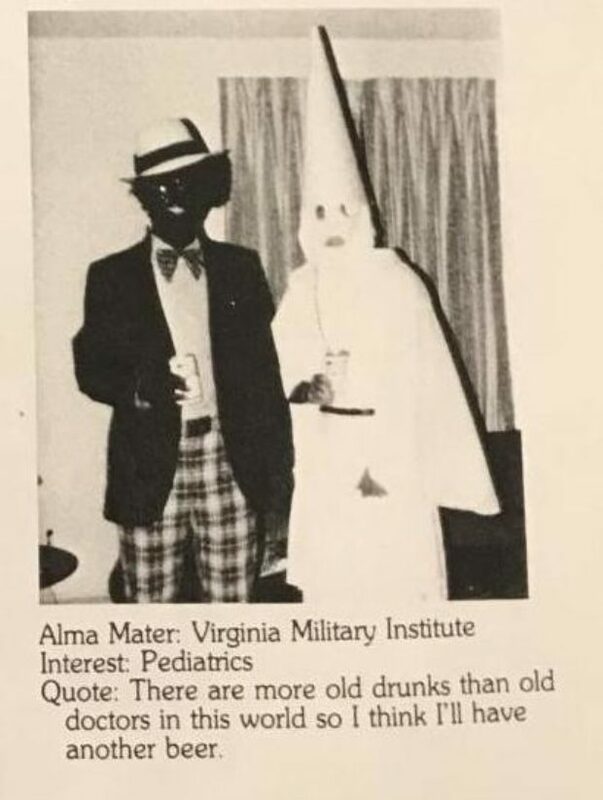 Virginia Democratic Governor Ralph Northam reportedly has been calling state lawmakers on Saturday saying he doesn’t believe it was him in the racist image in his 1984 medical school yearbook. Relating a private conversation with Northam, an anonymous Virginia Democrat also told AP that the embattled governor has no intention of resigning his post and is, in fact, calling lawmakers across the state in an attempt to rally support. Later Saturday morning, state Sen. Louise Lucas told AP that Northam believes he can prove the image wasn’t him, and a New York Times report released Saturday reported he is willing to employ facial recognition software to prove it. In addition to politicians in the state, the Virginia governor has also reportedly been calling former classmates at Eastern Virginia Medical School to try and find out more about the picture. I am deeply sorry for the decision I made to appear as I did in this photo and for the hurt that decision caused then and now. This behavior is not in keeping with who I am today and the values I have fought for throughout my career in the military, in medicine, and in public service. But I want to be clear, I understand how this decision shakes Virginians’ faith in that commitment. I recognize that it will take time and serious effort to heal the damage this conduct has caused. I am ready to do that important work. The first step is to offer my sincerest apology and to state my absolute commitment to living up to the expectations Virginians set for me when they elected me to be their Governor. Despite Northam’s attempts to mitigate the political fallout, several key Virginia politicians, including Senate Majority Leader Tommy Norment and House Speaker Kirk Cox, have reportedly called on the governor to resign.